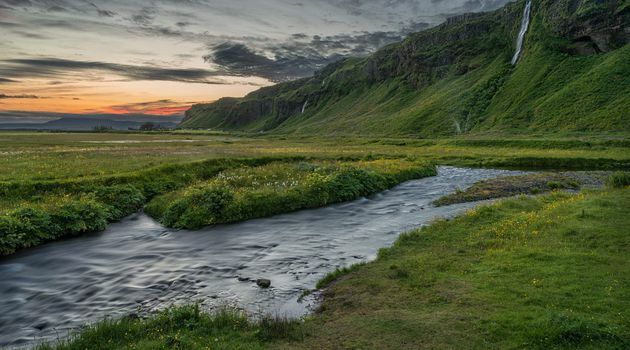 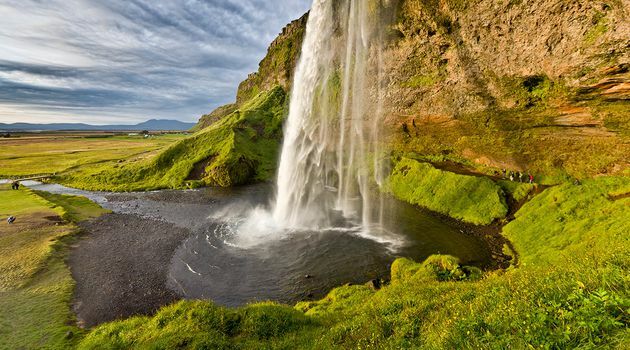 This tour takes you along the Icelandic South Coast, where you will be travelling through lush farmlands with breathtaking views of powerful volcanoes and glaciers, black sand beaches, and thundering waterfalls. 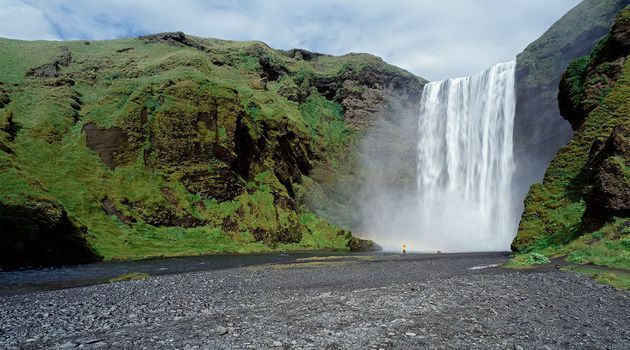 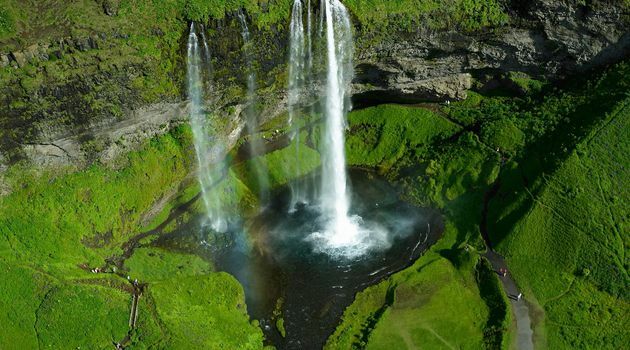 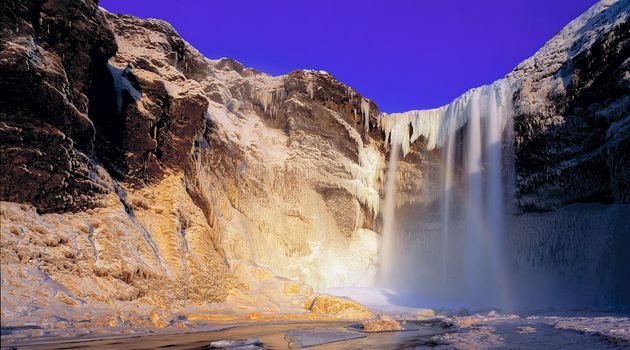 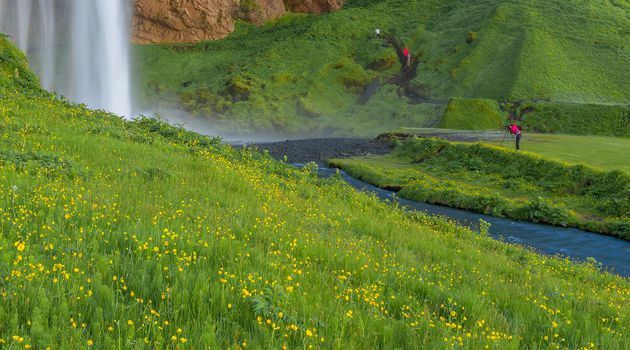 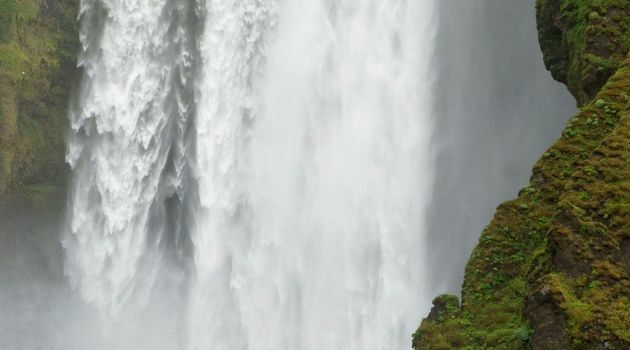 First in a series of natural landmarks is Skógafoss waterfall, arguably one of Iceland's most iconic waterfalls. 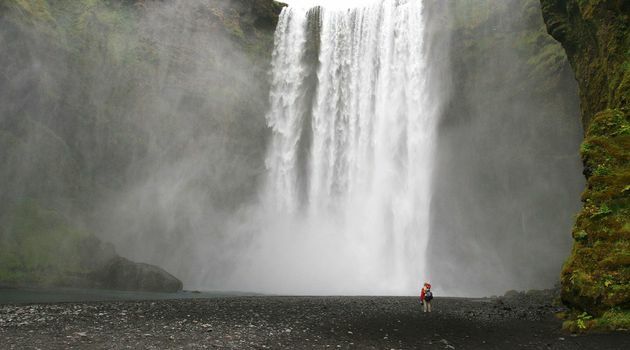 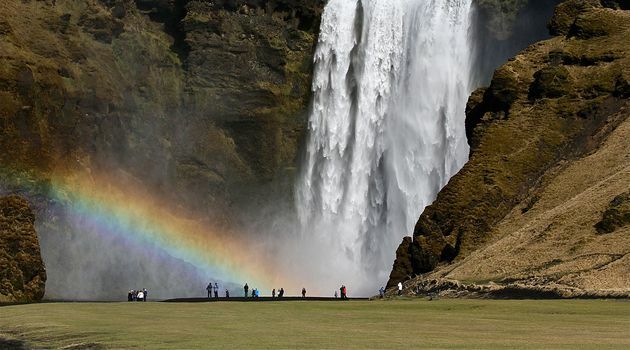 Both tall and wide, it is also often surrounded by rainbows that form in the mist around the base of the falls. 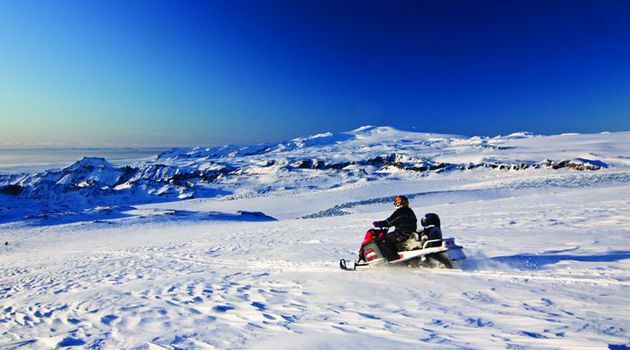 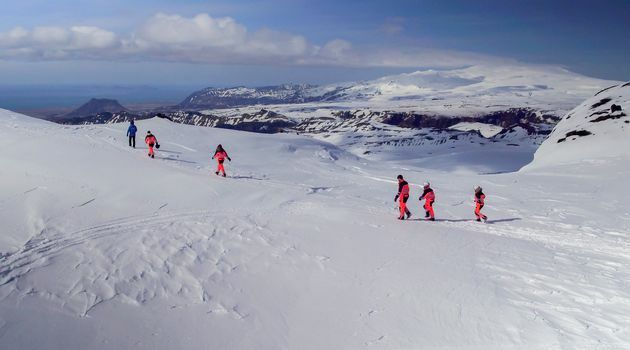 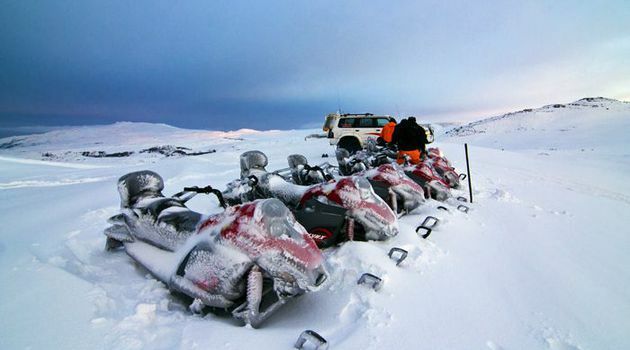 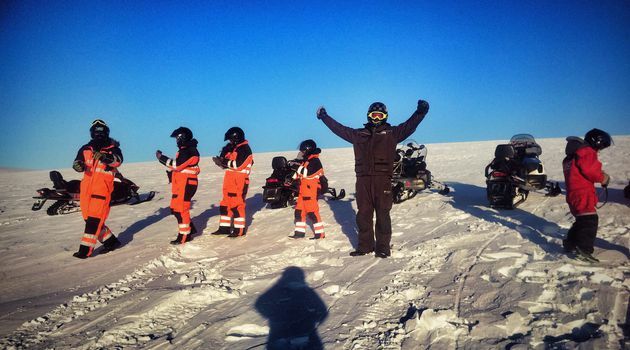 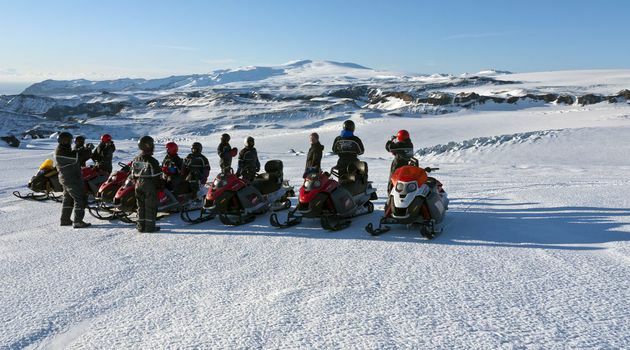 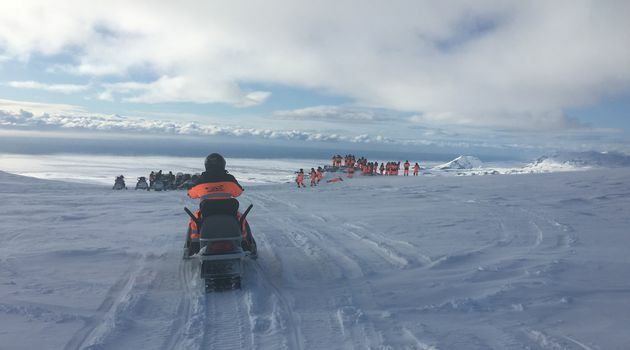 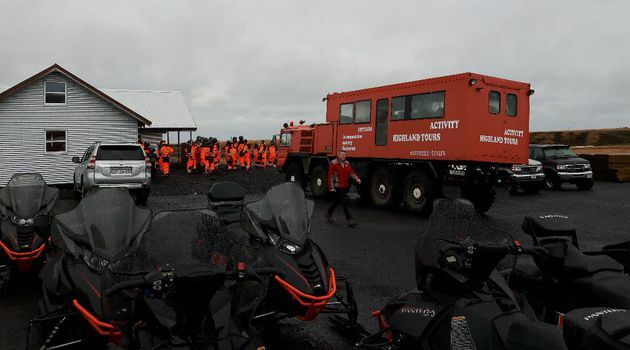 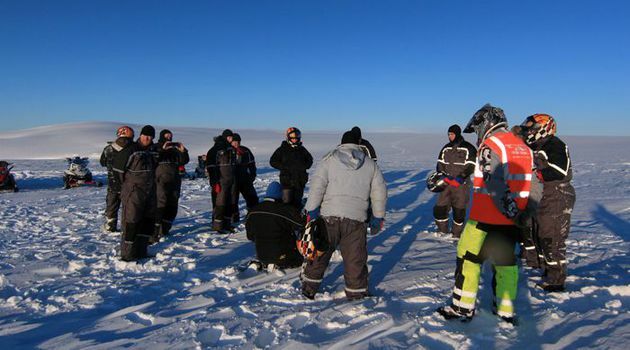 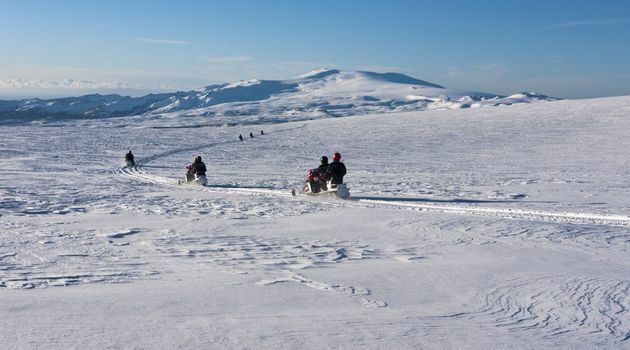 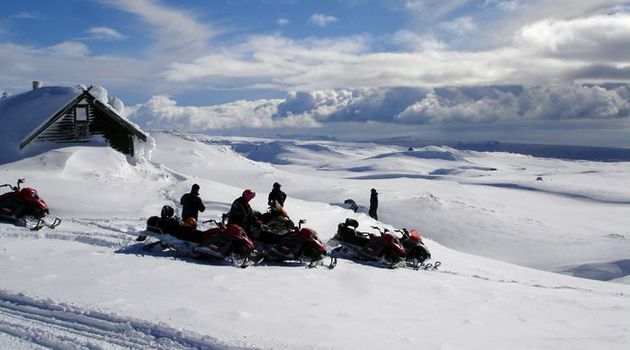 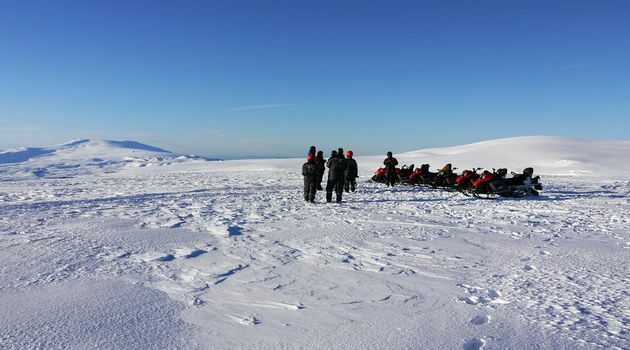 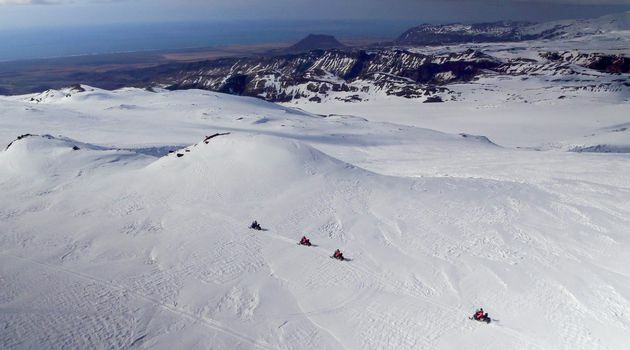 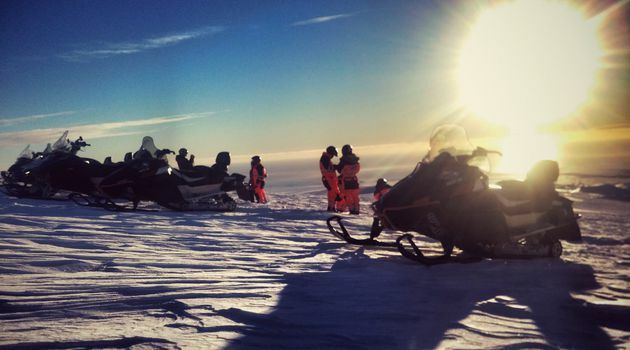 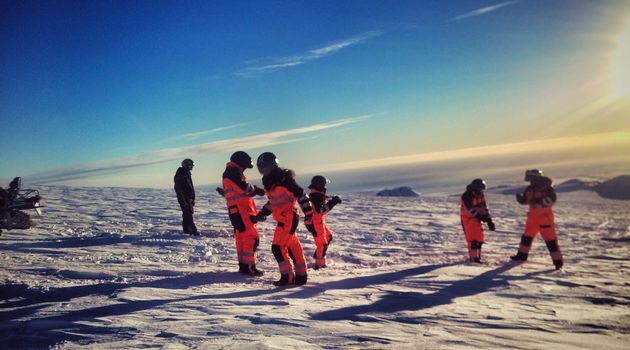 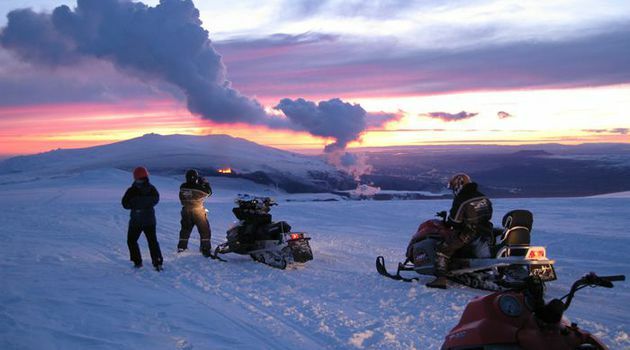 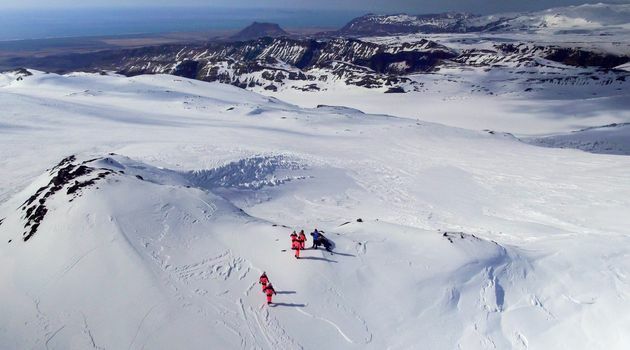 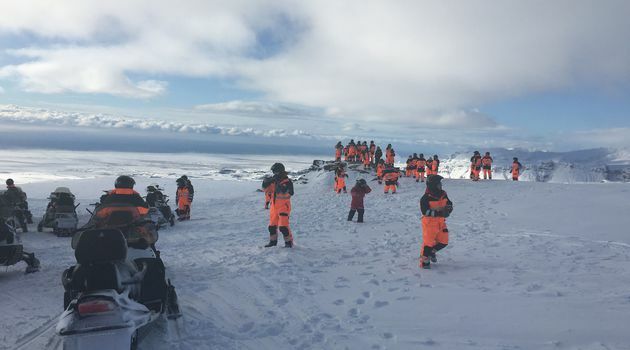 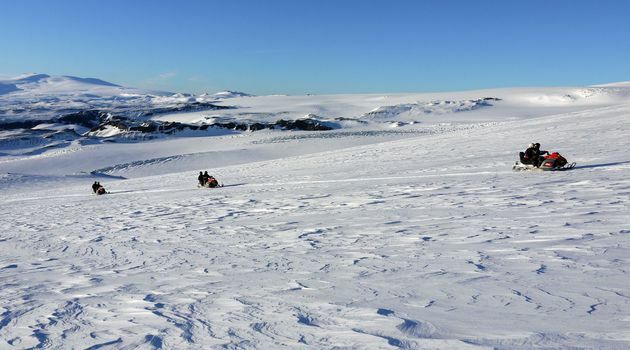 Here you will meet with the snowmobile operators who will get you geared up at their base and give you a quick safety briefing before heading up to Mýrdalsjökull glacier in a customized glacier truck. 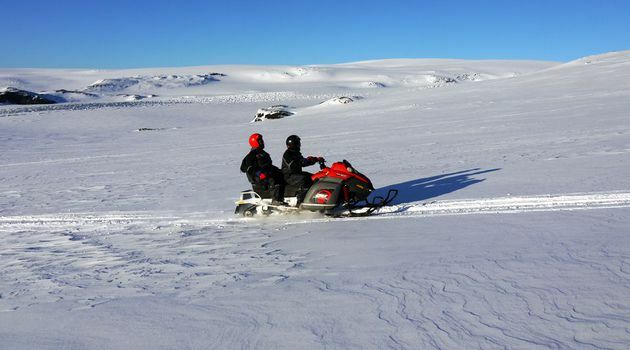 Once you are on the glacier, you get on the snowmobile and drive across the ice cap. 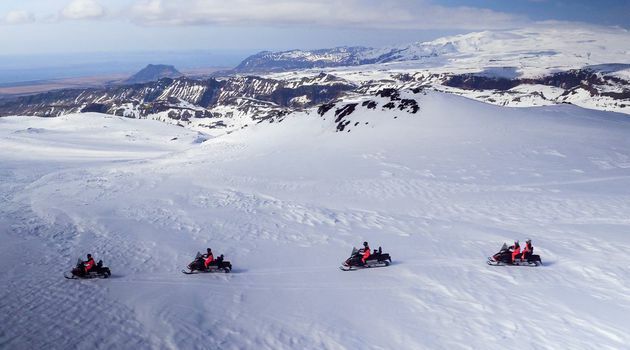 The view from the top is unforgettable since the glacier is surrounded by spectacular scenery. 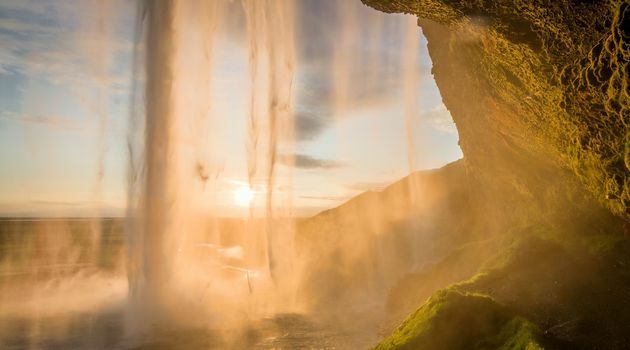 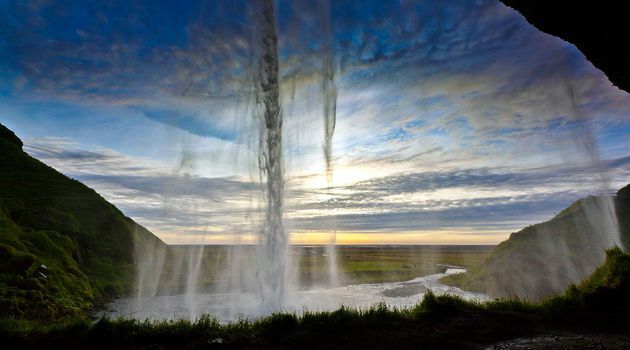 Heading back to Reykjavik your last - but by no means the least - is the iconic Seljalandsfoss waterfall where you can literally walk behind a curtain of water which is certainly a moment you’ll want to capture on camera. 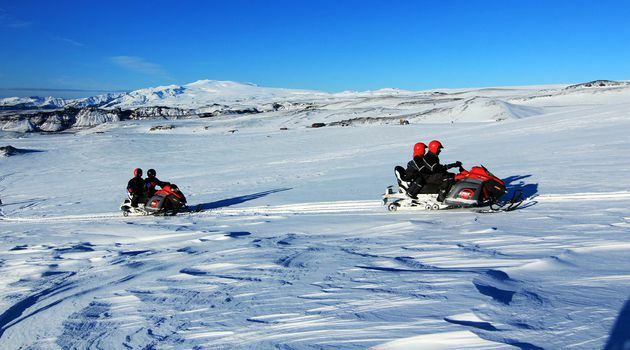 This tour combines sightseeing, nature exploration and adrenaline to give you an amazing experience. 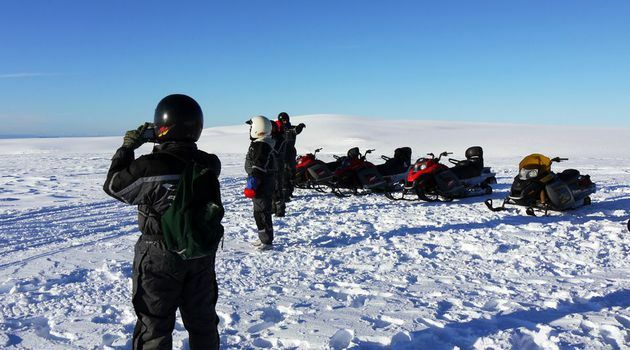 A valid drivers licence is required to operate the snowmobile. 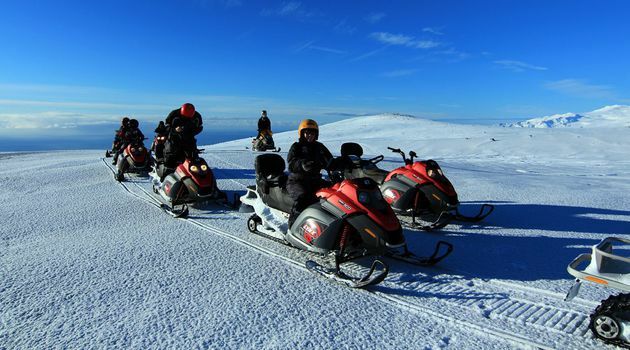 Price is based on two persons sharing each snowmobile. 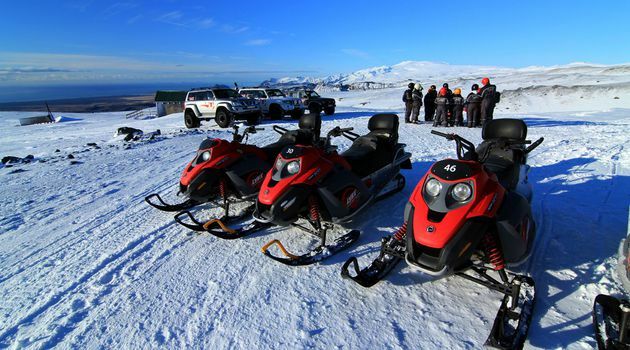 Extra charge applies for solo riders.